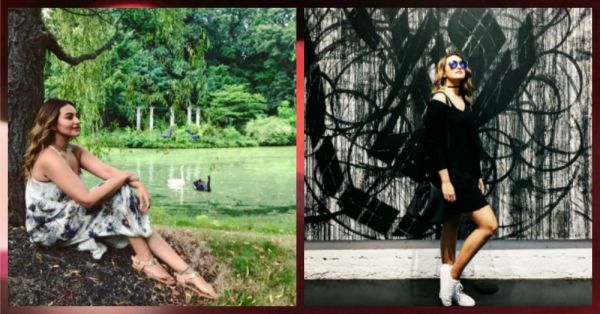 Sonakshi’s Dreamy NYC Vacay Will Make You Wanna Go On A Chhutti! During the IIFA awards week, all our B-town celebrities were in New York and we were all flooded with pictures of them hanging around in the streets of the beautiful city. But guess what? The Dabangg girl, Sonakshi Sinha, decided to stay back for a while and her pictures are a proof that she’s having a gala time. Take a look! 1. That’s Sona in Wonderland! 2. She’s rocking the all-black outfit! 3. She definitely knows how to carry those ice blue shades! 4. Some sunset sailing, anyone?! 5. Of course, a sun-kissed selfie is a must! 6. This is just beautiful! 7. Chilling on the rooftop with a beautiful view! So when are you planning your vacay?